A Prenuptial Agreement is viewed with great suspicion by some who see them as a bad omen for one’s upcoming nuptials. But, few areas of the law allow one to be proactive, as opposed to reactive. Prenuptial agreements allow a proactive approach to the choice that we hope will never be necessary. Almost anyone who has been through a termination of their marriage can state with sincerity that it is a stressful and emotional process with long-lasting financial ramifications. The advantage to the drafting and execution of a Prenuptial Agreement is to solidify the financial issues, both to protect assets, work in hand with existing Estate Planning and to provide for the term and amount of support. The disadvantage is that it cannot control the custody and support of any minor children born as issue of the marriage and one’s prospective spouse may have hurt feelings that one is planning for failure. Marriage is more than the exchanging of vows related to honor, respect and commitment; it is a merger of your financial health with your spouse’s. A Prenuptial Agreement is a contract, in writing, which is executed voluntarily prior to marriage with full disclosure by both parties of the assets and obligations and their plan for disposition in the unfortunate circumstance of a termination of that marriage. 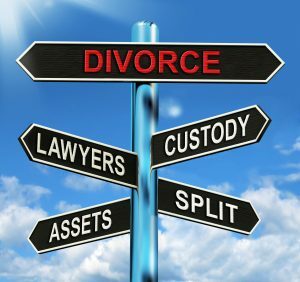 It may include provisions as to the defining of separate assets which will retain their separate nature in the event of divorce or death, even if they grow during the term of the marriage. It may provide support provisions for a spouse who commits their efforts to the marriage partnership in less financially tangible ways, setting the term and amount of support following termination of the marriage. It cannot provide for custody or support of the minor children as the State’s interest in the best interests of the children has priority over the parent’s interests. A Prenuptial Agreement should be discussed sometime before the wedding, as nothing will take the romance away like seeing one’s legal counsel in the days immediately prior to the special day. Both parties must have time to consider fully the terms of the Agreement and discuss with their separate counsel. Ben Franklin noted that an ounce of prevention is worth a pound of cure. Proactive planning for an unfortunate contingency need not be hurtful, but an opportunity to communicate the financial expectations of each person, prior to the marriage, as opposed to a Court determination when people are generally at their worst.